This grated floor has a high slot ratio to surface area, and can be used as stacking shelves, inspection platforms, and decking for stairs. The floor sections are directly laid on beams. Unlike conventional flooring, joists are unnecessary, therefore installation costs can be kept down. Brackets are immobilized by bolting, therefore floors are quickly installed. Sections can be safely installed in places that do not consent welding. Uses: Building rooftops, inspection platforms, floors, walls, eaves and stairs of warehouses, etc. 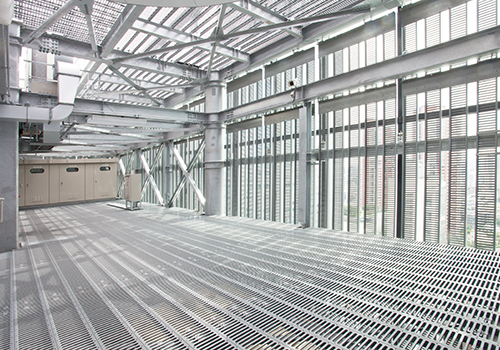 This steel floor can be used as stacking shelves and decking for vehicle parking structures, stairs and scaffolding. Edges faces are shaped for engaging. Pieces can be assembled side-by-side on-site in a short amount of time. 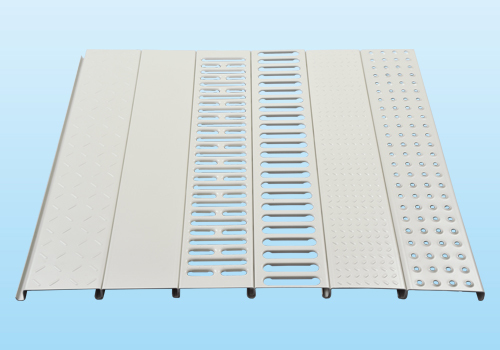 A variety of surfaces are available for matching to application, i.e., punched surface for ventilation or sunlight penetration, embossed surface for slip prevention, etc. Uses: Warehouses, stacking shelves for warehouses and factories,decking for vehicle parking structures, etc. These unique designed floor parts prevent person from being seen by the people downstairs. These unique shape pass tender light to downstairs. These products is suitable for the place needed air through. 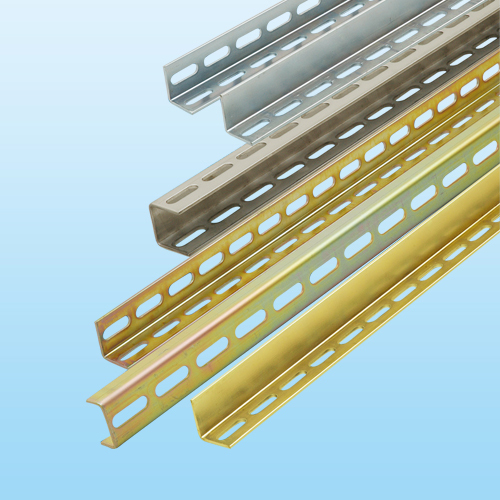 Uses: Ceiling, decks, walls, partition, grating, etc. 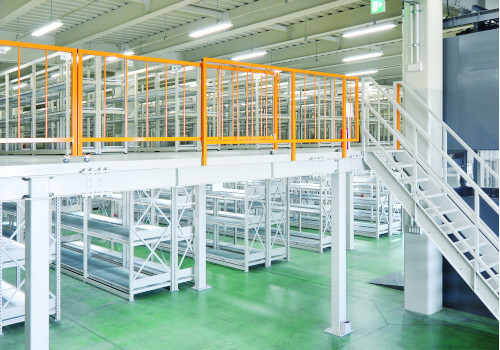 This rack can increase effective floor space 2 to 3x in warehouses and factories where additional construction or expansion presents issues. The independent standing structure is assembled from modular pieces, therefore it can be completed in a short amount of time. Racks can be customized to user needs by calculating the strength and rigidity of flooring and beams, and stacking loads. 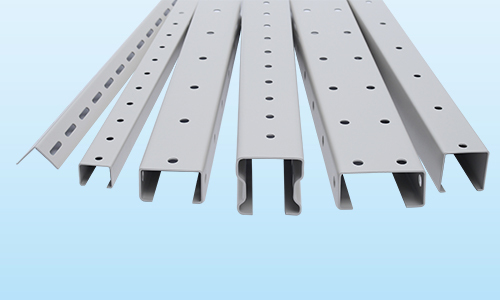 Hardy pipe support enables to layout machinery frexibly at the production line in the factory. Hardy channel/angle are available as a component parts of jig or a reinforced parts. We developed photovoltaics mount system by the technology and experience which were accumulated, we offer high quality PV mount system. 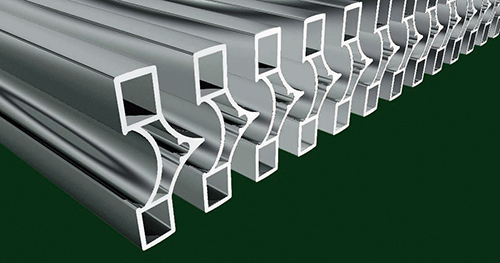 The original components are developed by roll forming technology. These parts are structurally-engineered cross-section shape and strong and also light. PV mount system is designed to fit various solar panel. Our system is very cost effective and delivery date is 25% shorter than our former system so that it is produced by integrated system of production. 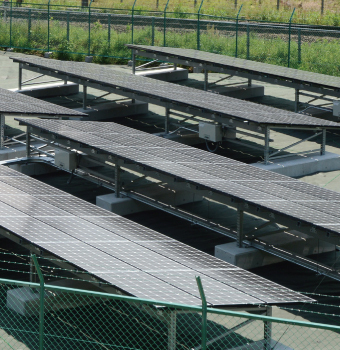 Our PV mount system is made of hot dip galvanized steel sheet. and also, with powder coating, it keeps durability and good-looking.